As I mentioned in an earlier post, I generated a mini bucket list at the beginning of the academic year with some things I wanted to do whilst still in Leicester. 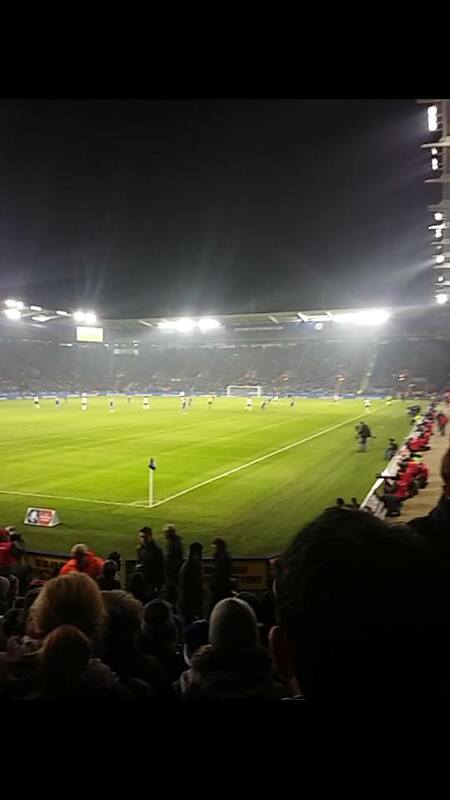 Last night, I ticked off one of those things by going to a Foxes game. With my Dad and brother being massive Forest fans, I was quite reluctant to go to a match at the King Power Stadium, plus the fact that I don’t really like football (one reason for this being that at home, football is constantly on the TV and being brought into conversation, so I get a bit sick of it. My brother works for Ipswich Town as their Digital Media Editor, so that also adds to the football madness). My boyfriend is a Foxes fan, so when his usual football buddy told him he was going to the game with his Dad instead, I was apparently the next in line for a ticket. I am currently applying for PhD places and beginning to write my dissertation. The lack of January exams has meant I’ve had more time to apply for things, as the applications can be quite time consuming. So for now, I’m just keeping my fingers crossed! Hey I'm Daisy, a Medical Biochemistry student back in Leicester for my final year following a year in Heidelberg, Germany. I will be writing about my return to life in Leicester, including both the academic and social aspects. I might also go on a bit about how much I'm missing the availability of schnitzel/pilsner and the appropriateness of wearing a dirndl.